A lot of nurses get married and have children, and as a result they find they may need to take time from the workforce to do so. Others might find themselves in a situation of taking care of an elderly relative. In either case, they are noble undertakings, and you may be in this boat. It can be a brief detour in your career path. On the other hand, during this time you may be considering how you want to get back into the workforce. What makes these scenarios daunting? It’s the uncertainty factor and lack of confidence caused by it. These are normal feelings to have given the circumstance. But that should not stop you from kick starting back into your nursing career! With being a little prepared and using some of these strategies you can set yourself up for success in your job search. First and foremost, the one thing employers are going to want to know is the reason for your work gap. Be upfront about why you took time off. Often times you can frame this in a positive way. Took time off from clinical work to raise children. Returned to bedside nursing after time as caregiver for ill family member. Leave of absence due to personal obligations. Ways you can combat against the gap in your work history is to have a plan for addressing it. Try to seek out and volunteer for organizations or causes in any way you can with the time that is available to you. Especially with opportunities to utilize your healthcare background. A counter thought you may have to that could be you don’t have time. If your children are older, try to find activities to bring them along to, in order to demonstrate valuable lessons of helping others. If you have an elderly relative that you’re the primary caretaker for, then find opportunities to utilize your caretaking into volunteer work. For example, Elder Helpers and the AARP are a couple of great ways to look into this further. Plus, they have great suggestions where you can use your nursing background. The main objective is to keep yourself not just busy, but using your nursing skills. Employers look very highly on a nurse who is successfully balancing volunteer time and taking care of their homefront. For the best results, try to utilize your nursing skills into these opportunities and present them in your résumé or CV. A good side note to take here is: within your cover letter, make sure to emphasize this experience with your long term growth plan for your career. Try to make it a point to touch upon how it will benefit the organization you are seeking a position with. If you have been out of the workforce for a number of years, then take a functional résumé technique. What you are trying to accomplish in this technique is to show what your skills and abilities are in relation to your experience. This is as opposed to focusing on chronological timeline of your work history. If you don’t know what a functional résumé looks like then it would be advisable to reach out to a professional résumé writer like Amanda here at The Résumé Rx to assist you. If you can’t go back to a standard brick and mortar school, then consider alternatives. We live in the 21st century and that means online schooling opportunities can be the next best option. If you’re on limited financial resources, then seek out financial aid options through the school of your choice, and they can evaluate your situation as a parent or home caregiver. What’s also nice, is the online option provides flexibility with your schedule. One pointer here is try to keep the class options as relevant to what you want to get back into. If you’re making a pivot in your career then make sure to go down that path. Employers like to see nurses keeping their skills sharpened through education. If you’re taking an extended period away from clinical work, be sure to regularly complete Continuing Education courses. This is especially important for maintaining your licensure. It also keeps you up to date with the latest evidence. Now your time availability may not be on your side, but there are options accessible to you. A great place to look for networking groups is Meetup.com. If you can’t find what you’re looking for there, then consider starting your own group. You can also often find local chapters of professional nursing organizations. Some larger metro areas also have some nursing-specific groups on Facebook. With that said, one of the best professional online networking sites is LinkedIn. You can join groups and invite people here within the nursing profession to connect with. Remember it’s a professional networking site so please do not treat it like Facebook. (Although Facebook and Twitter can be used for networking!) However, the reality is LinkedIn was specifically designed for professional networking. It can boost your exposure for landing your next job. Something else you can look into, especially if you want to stay within nursing, is to go to nursing seminars and networking events. For nurses, some great sites that offer information on such events are NursingNetwork.com and Nurse.com. This ties into LinkedIn and your online presence as a whole. Sometimes tapping into your personal network of family and friends can bring out opportunities you may not have known about. You won’t know unless you put it out there! Letting the people within your circle know you’re actively looking to get back into the workforce can make a difference. At minimum, they can be an extra pair of eyes and ears for you when it comes to new job opportunities. Regardless of how you put it out there, the main objective is you are attempting to let the professional world know you’re ready to get back out there! Now this is more of an abstract concept, but you will find great confidence starts from creating a focused plan and executing it. Have your elevator pitch ready – a 30 second explanation – of what value you bring to the workforce. You’ll find that even if you are uncertain, the best way to overcome this is through staying focused on your goal. Plus, the key factor is staying busy within the activities that will provide you results. Just remember anyone can stay busy, but you will need to keep your activities to what will make your résumé and experience valuable to a potential employer. You don’t need to apologize for being out of the workforce. You chose to do something that involved its own level of satisfaction and brought worth to yourself and family. Individuals who are working and want to switch to another job have the same obstacles as you when it comes to mindset. Maybe your experience as a home caregiver brought you a new found way of appreciating what you’ve done in your professional nursing career. You may run into different challenges than your counterparts who aren’t parents or home caregivers. However, you have to frame your situation and experience to your potential employers that you have what it takes. Taking time away from the professional world to be an at home caretaker does not have to be any type of death sentence for your professional career. “It’s merely a detour” is how you should view it. Utilize the resources available to you and explore new ones, such as volunteering and incorporating what you do or want to do in relation to strengthening your healthcare background. Next, try taking an unconventional approach with a functional résumé and expressing your value through your cover letter. Join professional groups for nursing or start a nursing group. Attend events relevant to what you want to do. Try continuing your education. The point of all this is to beef up your time away from the professional world to be expressed in your résumé that translates well in the workplace. Good employers want to know you have what it takes and nothing shows overcoming adversity than what you do with your time in relation to being a home caregiver. 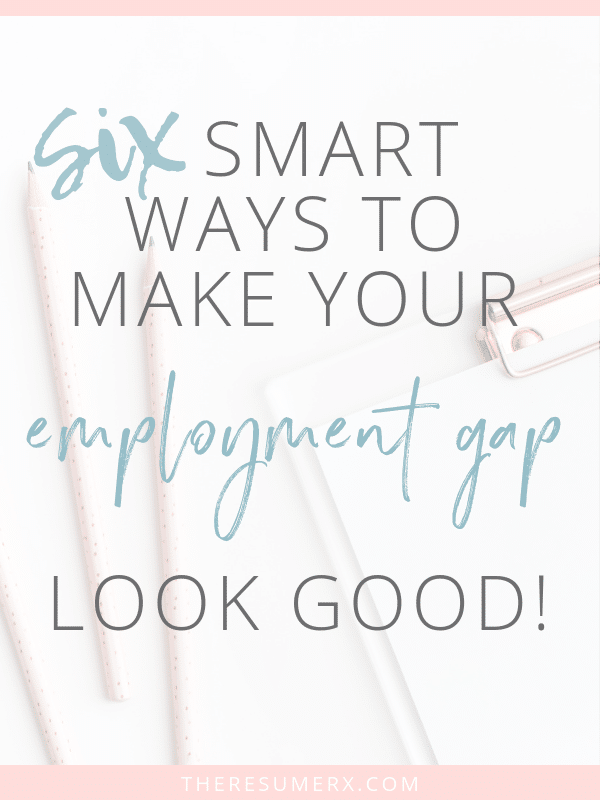 It does not have to be an “employment gap” for you, as it can be an employment bridge that brings you back into your career field. The good news is, healthcare is not going away and it’s growing. Hence why motivated individuals with a nursing background can flourish. You just need the right approach and attitude. Take it upon yourself to formulate your plan and try some of these tips, and it will put you ahead of many others in your job search. Need some help getting started? Grab your FREE goodies below from The Résumé Rx! Matthew is a Human Resources professional having worked in HR general practices and benefits administration for I.T., education, and staffing industries for 10 years. He currently works as a human resources professional writer where he helps businesses express their HR voice online.